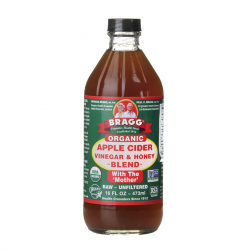 Made from delicious organic apples, Bragg Apple Cider Vinegar is raw, unheated, unpasteurized, unfiltered and contains the mother. The Mother is a mix of good bacteria and live enzymes, similar to a Kombucha SCOBY, used in the fermentation process of apples into vinegar. In fact, the word vinegar comes from the Latin (wine) and "Acer" (sour), i.e. sour or fermented wine. 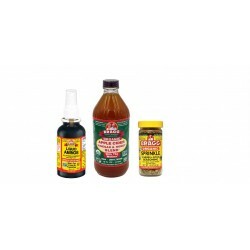 This refreshing and zesty vinegar has a balanced 5% acidity, is kosher certified and is bottled in accordance with USDA (US Department of Agriculture) guidelines for your peace of mind. 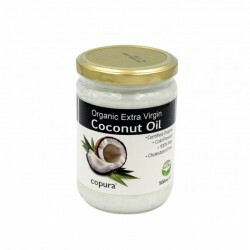 Full of natural goodness, it is perfect to drizzle over summer salads or to liven up vegetables. If you are feeling daring, why not try it sprinkled over popcorn? 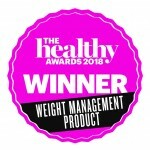 But the latest and most common health trend and use of apple cider vinegar are to use it daily, in or on food, at home at work or on the go. 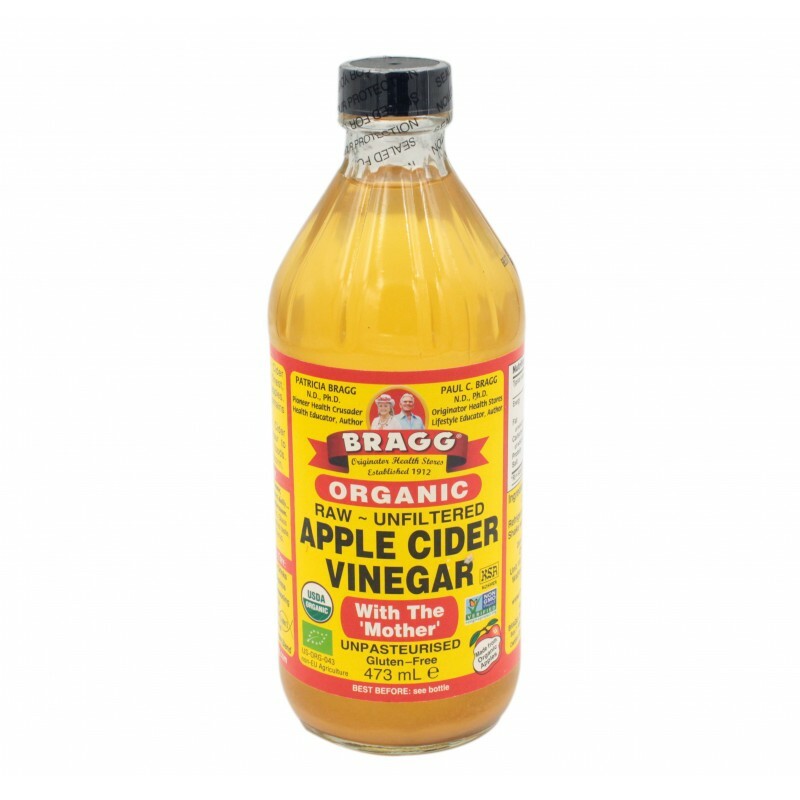 Bragg Organic Apple Cider Vinegar is the traditional Apple Cider Vinegar, Produced on the Bragg live food farm since 1912, Bragg ACV has since become a staple in cupboards in the USA and now sweeping across Europe! 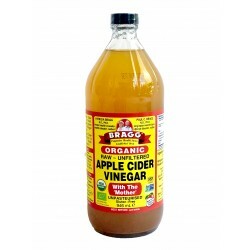 Bragg has premium Apple Cider Vinegar that is made in the most organic, natural and purified way. Made from organic apples, the sun-kissed trees in Santa Barbara get the treatment they deserve and are some of the most nutrient baring apple trees in the USA. The Apples are organically grown in the rolling hills of the Bragg live foods farm in central California, most being turned into raw organic ACV, but some are given to non-profits throughout California. The historical Apple trees at the Bragg farm have an effect on the taste and natural entity of Bragg Apple Cider Vinegar, tasting rawer and pasteurised leaving you with a delicious flavour that is full of nutrients. 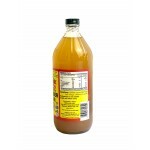 Bragg Apple Cider Vinegar is unpasteurised, raw, unfiltered and organic. This ensures that the product is premium quality and has no additives or sweeteners added in the process. 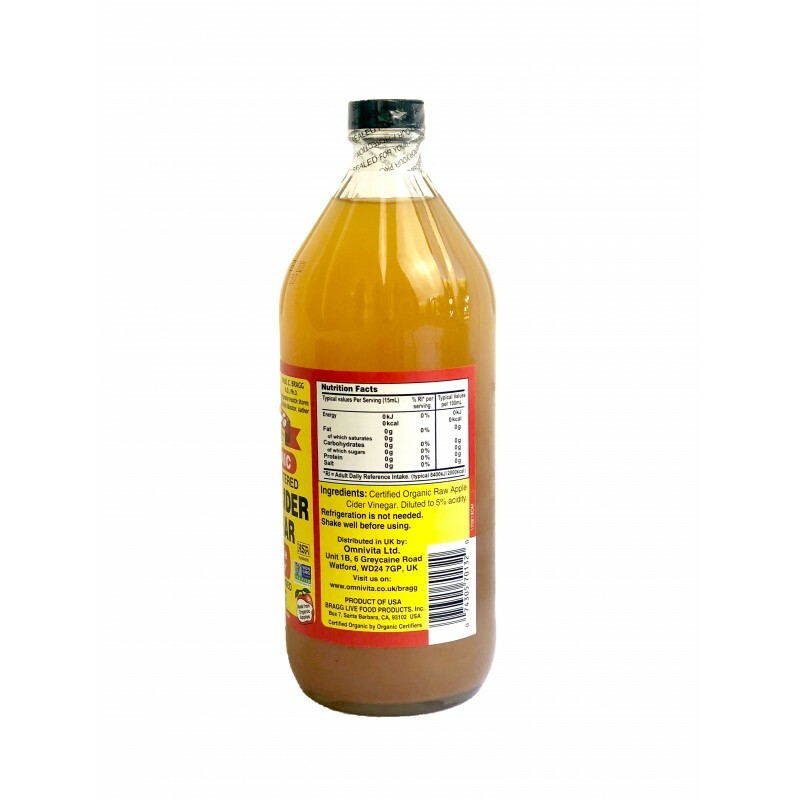 Bragg Apple Cider Vinegar has not been pasteurised, this means that the beverage has not been heating treated and in effect still carries enzymes and microorganisms (this can be seen from the mother). The ACV is also raw and unfiltered, this is so that there are no additives to the ACV. 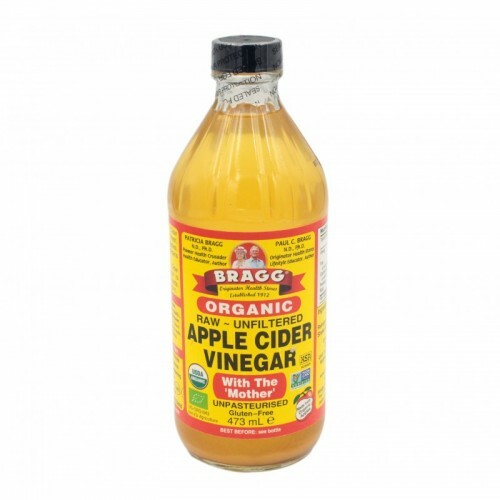 The only thing that is added to Bragg Apple Cider Vinegar is the dilution of minimal water to sense 5% of acidity, the water is sourced from the well that allows free-flowing water around the farm. 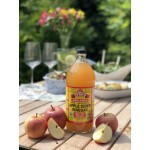 Bragg Apple Cider Vinegar can be enjoyed by many! The versatility is endless and will add variety and experimental choices to your diet, try it in salads, create healthy concoctions that will brighten your day, put in your home-made honey! The possibilities are endless! 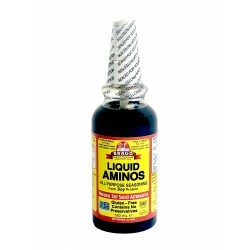 However, the product is widely used in aid to maintain appetite and manage their weight. See more recipes on our site to see the many ways in which ACV can be enjoyed! This raw, unpasteurized and unfiltered cider vinegar is made from organic apples and contains the Mother. The latter is a blend of friendly bacteria and strand-like enzymes used in the fermentation of the apples and impart amazing health benefits. Fermentation also produces acetic acid which is also responsible for the health-giving properties of Bragg Apple cider vinegar. 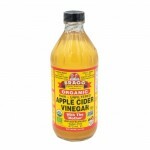 Braggs apple cider vinegar is certified Organic, it is naturally gluten-free, and is Kosher certified. 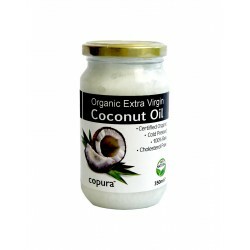 It a versatile product that can be used in or on food, as a facial toner or on the scalp. 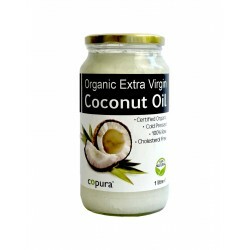 It is used by many as an aid to control appetite and manage their weight. 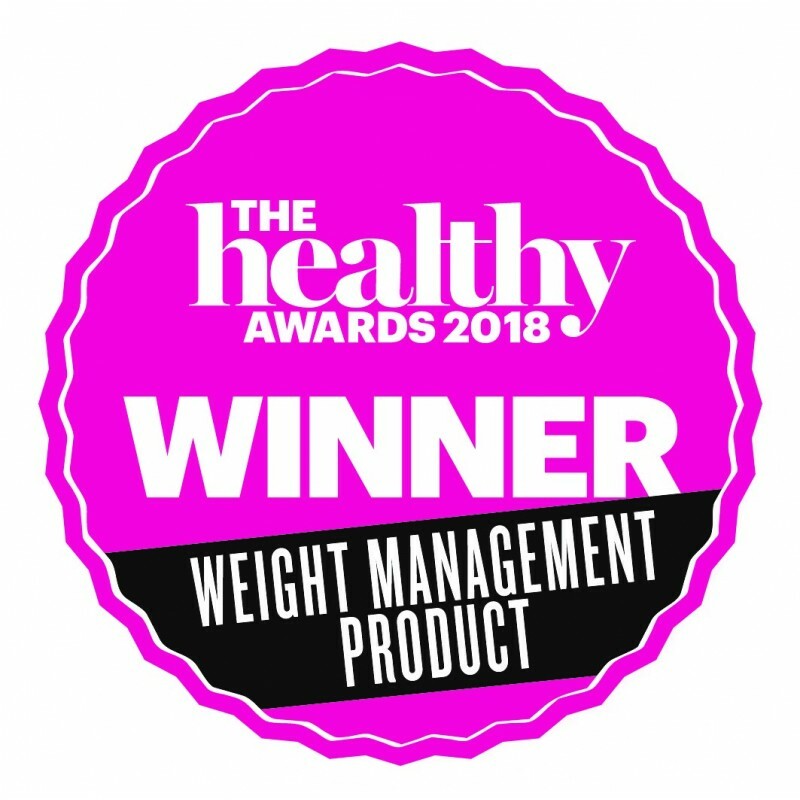 Certified Organic Raw Apple Cider Vinegar. Dilluted with purified water to 5% acidity. 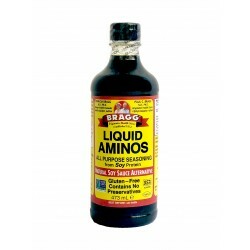 Bragg Liquid Aminos in a handy, portable bottle!What are liquid aminos?Bragg's liquid aminos are a l..
Bragg Liquid Aminos Bragg Liquid Aminos is a savoury liquid protein concentrate derived from heal.. 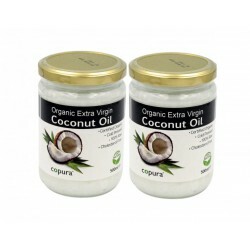 The Healthy Soy Sauce Substitute A liquid protein concentrate derived from natural non-GMO soybea..
Organic Raw, Unfiltered, with the 'Mother' (Naturally Gluten Free)Made from delicious organic ap..
Copura Extra Virgin Organic Coconut Oil Now available in a smaller jar, ideal on the go, or to fit i.. 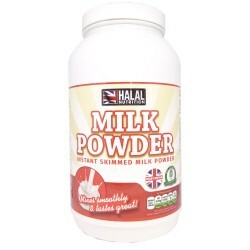 Instant Skimmed Milk Powder is an excellent source of protein and calcium and is a low fat instant a.. 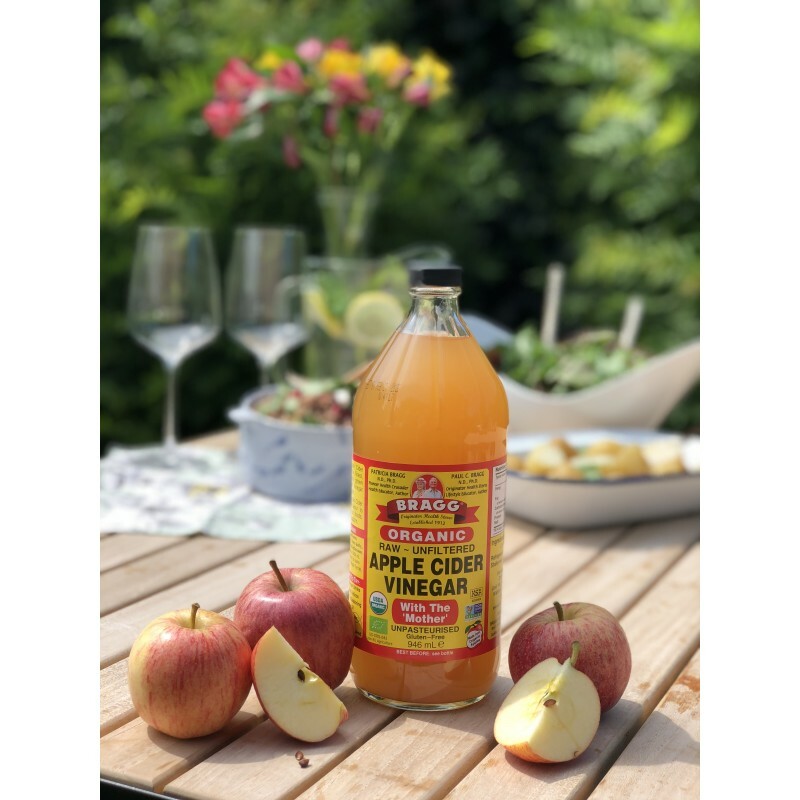 This is a good introduction to the Bragg Range.It contains: Bragg Organic Apple Cider Vinegar with H..
A blend of the original Bragg Organic Apple cider vinegar with organic honey.This delicious blend is..